The name Sturgill Simpson first came to my notice when he was included in Grady Smith’s infamous list of the 10 Best Country Albums of 2013 in the influential US publication Entertainment Weekly. While Grady had to deal with the industry onslaught about its content, the alternative opportunity for me when scouring this list was to check out the unfamiliar artist amongst a stellar bunch of selections. Well the good news comes in threes as first, HIGH TOP MOUNTAIN is an excellent album, secondly Sturgill Simpson is visiting us very soon for dates and the esteemed UK label Loose Music have taken over the reins of giving the record its European release. 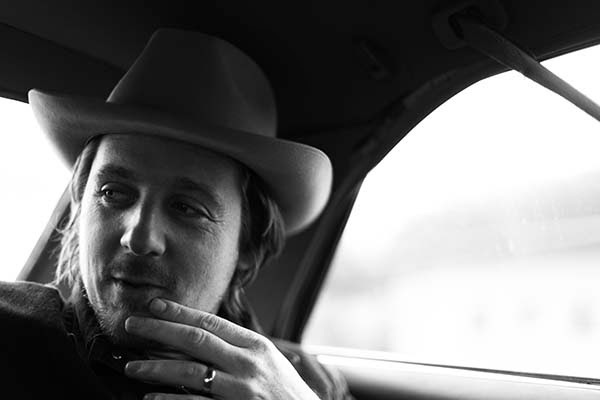 It is pretty easy to deduce from this introduction that Sturgill Simpson does not conform to the current requirements of male artists from the country music elite but that never deterred Johnny Cash, Willie Nelson, Waylon Jennings and more recently Dale Watson from creating their own niche with a sound true to their ideals. Simpson set out to record ‘the purest, most uncompromising, hard country album anyone has made in 30 years’ and whether this lofty ambition has been fulfilled remains to be seen but the result is a whole hearted attempt to stem the direction of a genre's populist tide. If Dale Watson wants to take a breather in his fight against the system then Sturgill Simpson has kindly offered to take up the mantle with this album. While some apologies are offered to the constant naming of other artists, it was impossible to listen to Sturgill without conjuring up aural visions of Dwight Yoakam shaking the core of country music with the 80’s honky tonk revival. Throughout the course of the 12 tracks, the fruits of Simpson’s song writing, accomplished contributors (including Hall of Fame pianist Hargus ‘Pig Robbins’ and steel guitarist Robby Turner) and his skills of emotional execution, ebb and flow with a pace variety to maximise listener engagement. From the heartfelt spine tingling homage to his maternal grandfather ‘Hero’ to the rip roaring obligatory train tune ‘Railroad of Sin’, the ‘uncompromising’ reference in Simpson’s mission statement has been achieved. To fulfil his lifelong dream of turning art into a living, Simpson has surrounded himself with a host of other aspirants in re-locating to Nashville, Tennessee but the experiences of his Kentucky upbringing surface in the reflective mining industry track ‘Old King Coal’. Life travels have taken Simpson out west and the album gets off to a storming start with his autobiographical anecdote that ‘Life Ain’t Fair and the World Is Mean’. The consistent high quality of all the tracks makes a standout one a tough selection but the rockin’ ‘You Can Have the Crown’ takes the virtual prize due to its driving beat and fantastic lyrical content commencing with the scene setter ‘I’ve been spending all my money on weed and pills, trying to write a song that’ll pay the bills’. Simpson gave way on his song writing for the final two tracks on the album, choosing to hone in on his own flat picking skills for the bluegrass standard ‘Poor Rambler’. A jazzy feel to a song made popular by Willie Nelson ‘I’d Have to be Crazy’ steers you through the exit door in a philosophical mood. The production on these and Simpson’s originals strikes the balance between a minimalist approach and an aim to give the presence of piano, guitar and omnipresent steel the opportunity to flavour the album with an essence of old time country. Having received acclaim in certain US circles following the stateside release, HIGH TOP MOUNTAIN gets its formal UK introduction on February 17 and this is an album not to be missed by anybody motivated in discovering the soul of country music. 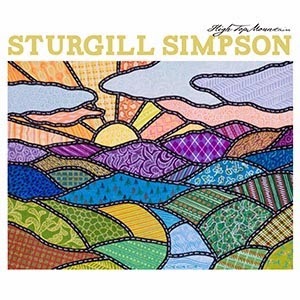 Let’s leave the word retro on one side for the moment and rejoice in the existence of the true spirit of the genre alive and kicking in the work of Sturgill Simpson.